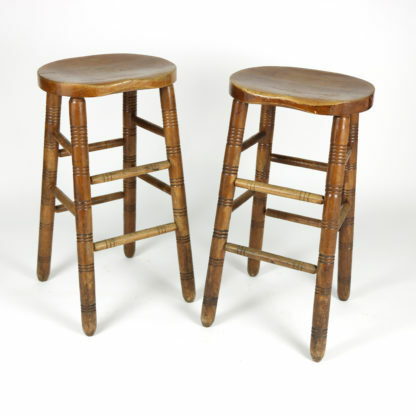 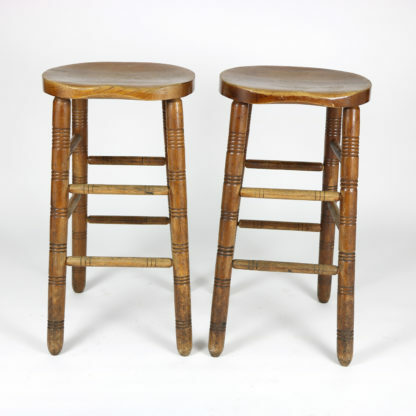 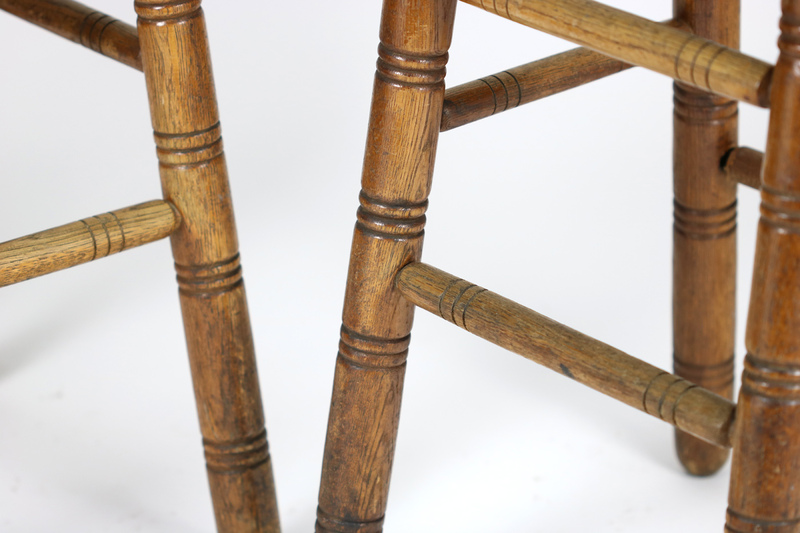 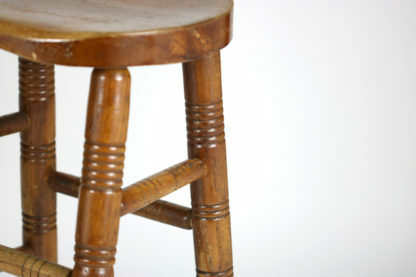 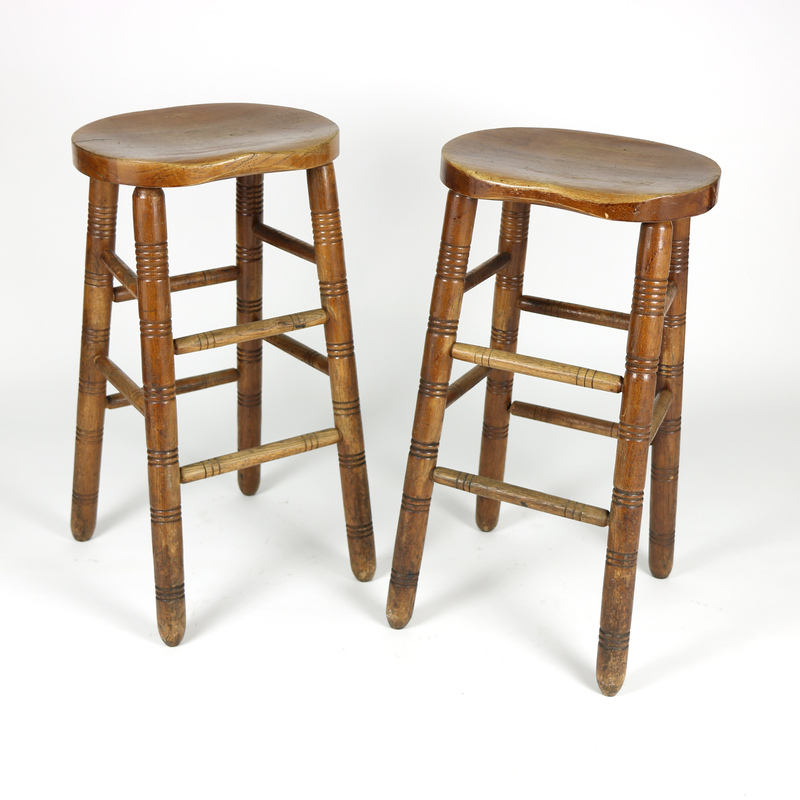 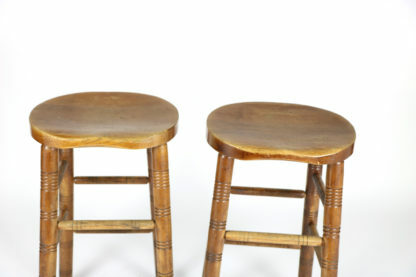 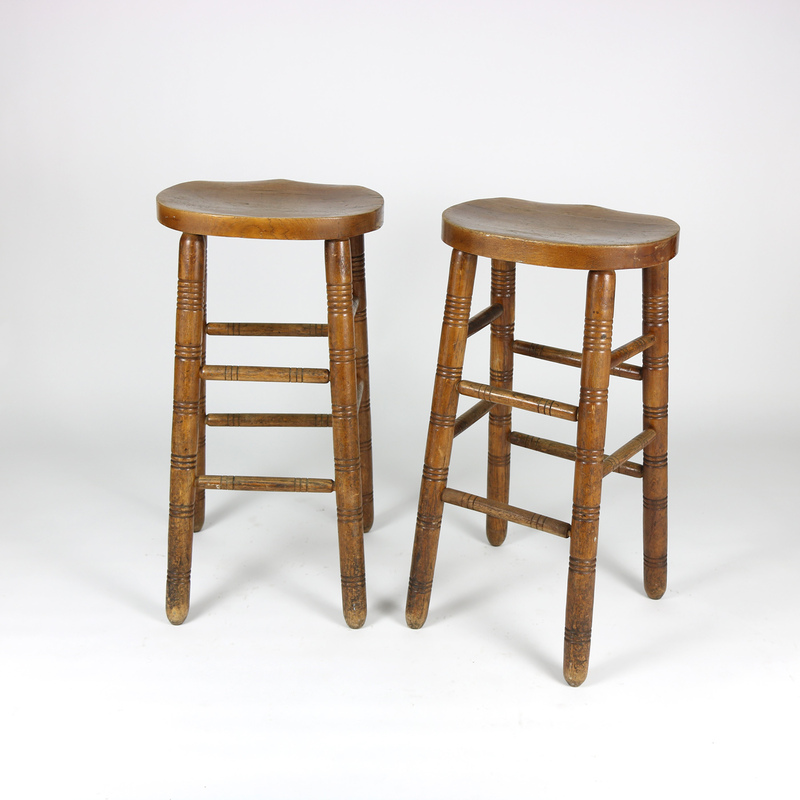 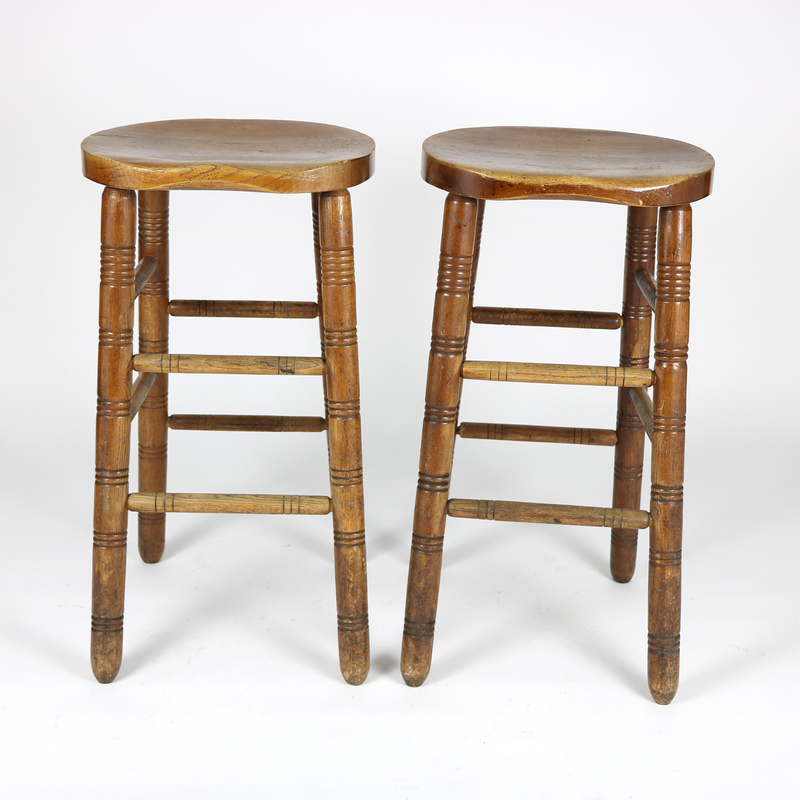 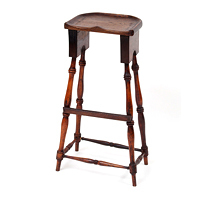 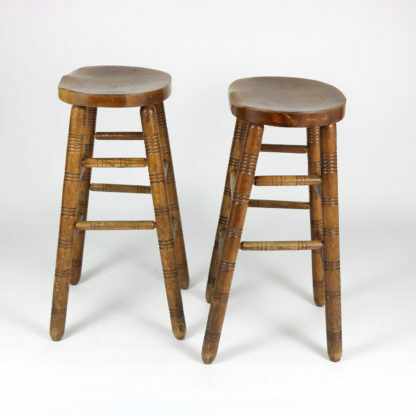 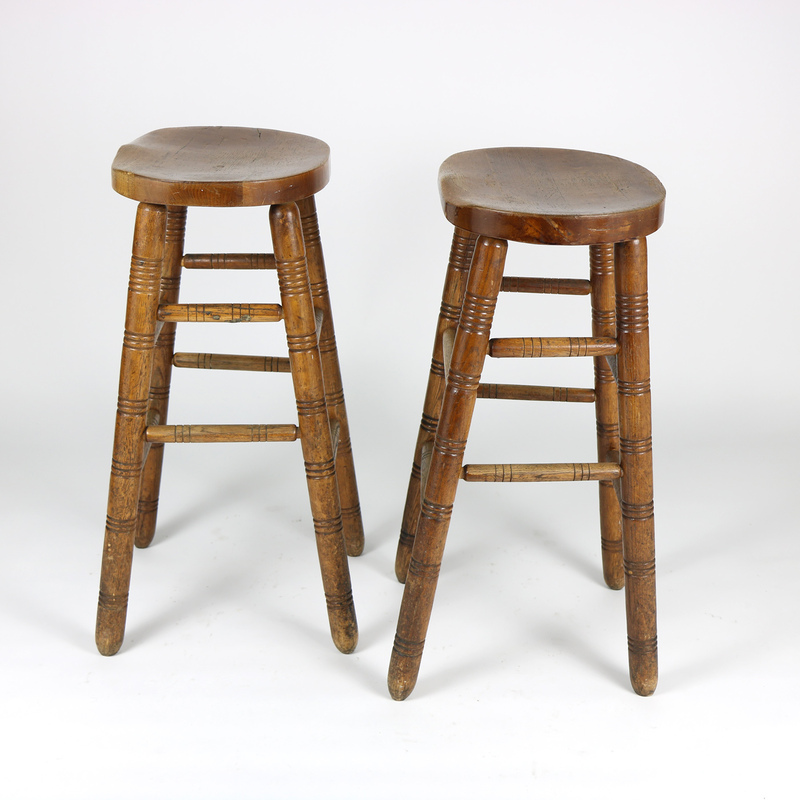 A pair of nineteenth century oak pub stools, English, circa 1880. with saddle style sear, turned legs and stretcher. 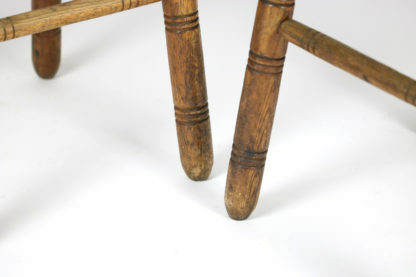 wear and expected variance of color. height: 30 in. 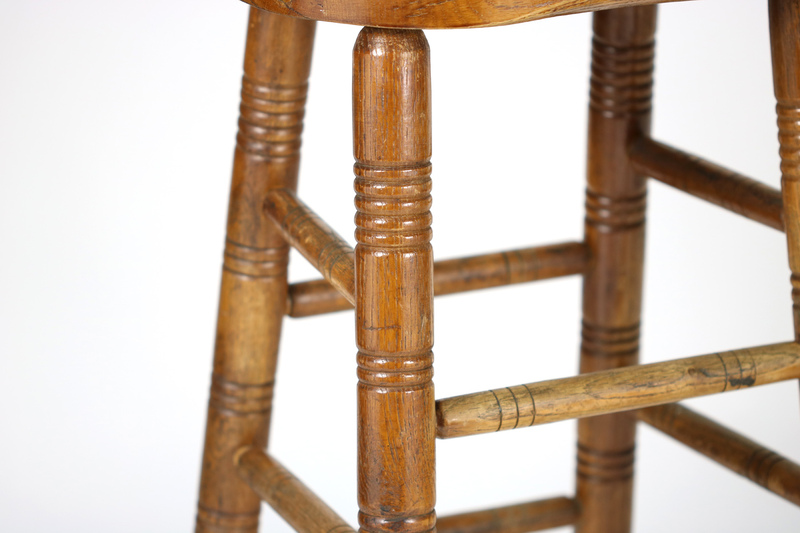 76 cm., width: 16 in. 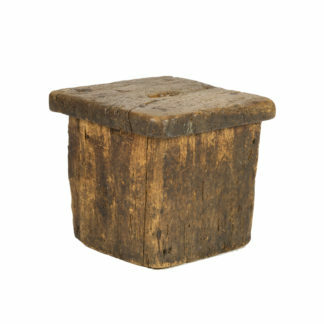 40.5 cm., depth: 12.5 in. 31.75 cm. 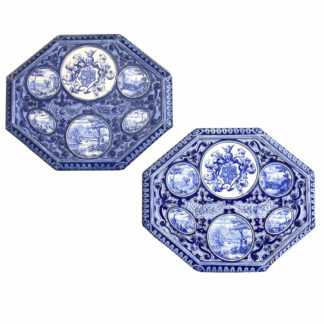 Sold a a pair.